Good morning and thank you very much for your time to visit English Plus blog! 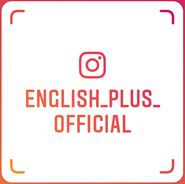 English Plus is a small, friendly, fun, and also has a family atmosphere English school; thus, we can listen to our students' comments directly and support them by providing necessary service in order to help them improve their English skills. 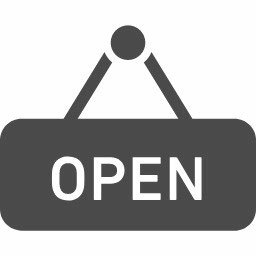 Actually, there are various features of our lessons and self-study support, and I'd like to let you know more about them. One of our features is "small class size." As you probably know, from the communication point of view, English is not an academic subject but a communication tool. Considering English as a communication tool, the most important point is how we use English after learning it. Through our personal learning experience, practicing English a lot with others including other people and teachers helps us improve our English skills. Of course, one-to-one teaching helps us improve our English skills, but a lot more students in a class can help us improve our English skills more since there are a lot more conversation topics in a class, a wide variety of expressions and vocabulary we can learn, and we can hear other people's opinions too. However, if there are too many students in a class, it's difficult to speak out or ask questions. Also, there isn't much time to speak English in a class or teachers can't focus on each student's speech. Therefore, at English Plus, our class room size is small - max 4 students in a class. This small class room size can help our students to communicate more, and our teachers can help our students when necessary. We feel that this class room size is very effective for our students to improve their English skills. Since I've personally experienced teaching English at a vocational school, whose class room size was big - 30 students in a class, and at a famous English conversation school, whose class room sizes vary and I taught one-to-one too, 4 students in a class is great and I can recommend. Actually, we haven't been satisfied with our current teaching style, and we're looking for better ways to teach English from now on too.